This year seen a good contingent of fighters travelling to the National Titles which were held in Sydney. 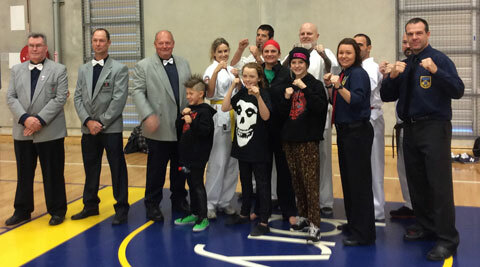 Along with the competitors we had 3 officials attending which is a good showing for our branch. Our competitors vied for positions in all aspects of the tournament from Full Contact , Non Contact and Kata, as this was the first time that many of them had competed on the National Stage it was a great outcome.